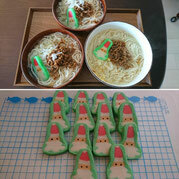 Santa Craus decomochi(rice cake) on noodles!! Happy holidays! !